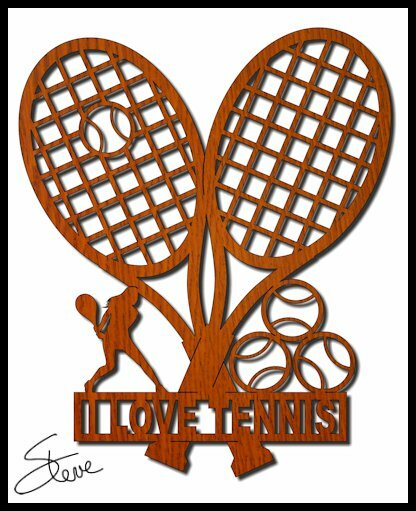 Female and Male "I Love Tennis" Scroll Saw Pattern. There is a female and male version for this pattern. Sports patterns have always been high on the list of downloads from my catalog. There are several sports that are not represented well. I though I would occasionally add to the list. I did not specify a thickness of wood used for this pattern. I think it will look fine with any thickness so just use what you have available. Thank you to all the readers who sent the kind words of sympathy. I will still be quite busy through the holiday weekend. I will get back on track with email next week. Thanks again for your patience. You can order your Personalized Christmas ornaments by clicking this link. Don't forget to get your entry in for the $75 Bear Woods gift certificate. 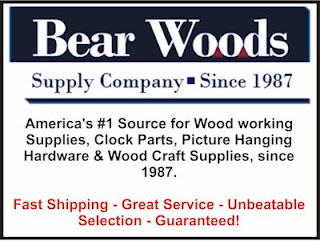 Bear Woods is a supplier of wood craft supplies. 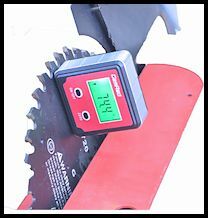 They have a great selection of toy making supplies, clock inserts, scroll Pegas saw blades and much more. They are generously sponsoring this giveaway. Please take a few minutes and check out what they have to offer. Thanksgiving by Ralph Waldo Emerson, Scroll Saw Pattern. Thanksgiving prayer by Ralph Waldo Emerson scroll saw plaque. We have had a death in the family. I am working to take care of the personal matters and arrangements. Please understand if I do not reply to emails for a couple of days. As soon as my family and I have had time to be together in this time of grief I will try to get caught back up. Thank you for being patient.